Meticulously maintained two-story on a remarkable Â¼-acre lot: pride of ownership shines! 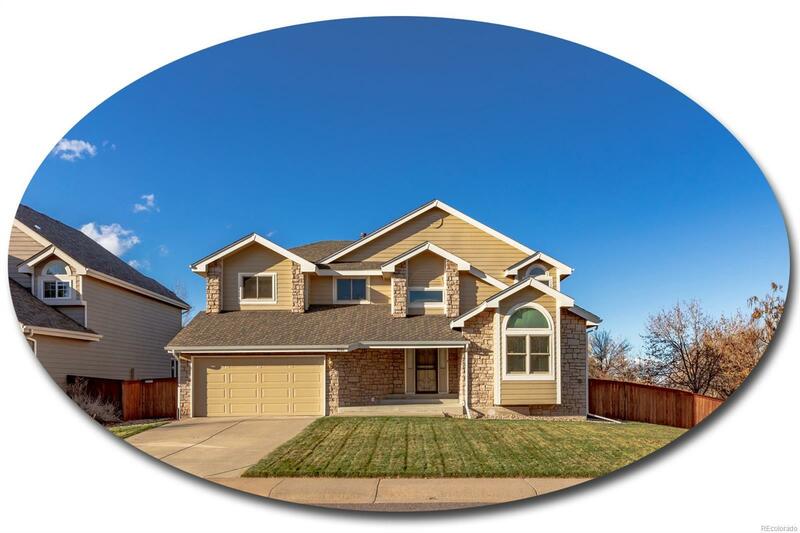 Excellent floorplan w/ 5 beds, 3 full baths, new carpet, lovely updates, soaring ceilings & an abundance of natural light. Two-story foyer w/ hardwoods. Living & dining rooms offer room to entertain. Kitchen w/ slab granite, glass tile backsplash, hardwoods, expansive wrap-around peninsula & casual dining. Inviting family room w/ two-story ceilings, clerestory windows & stone-surround fireplace. Versatile main-floor bedroom. Private vaulted master w/ 5-piece bath & walk-in closet. 3 additional beds also on the upper. Main-floor laundry. Professionally landscaped backyard designed w/ outdoor enjoyment & privacy in mind. Custom paver patio maintains seclusion from neighboring yards. Fantastic community w/ 4 state-of-the-art rec centers. Just steps to Diamond K Park, miles of walking trails & the iconic Highlands Ranch Mansion, offering an elegant indoor & outdoor setting for events, parties & more.